Sun Ce achieved a predominant position in the lower reaches of the Yangtze River and in the fourth years of the Jian’an Period of the Eastern Han Dynasty, took Wan City with Zhou Yu and took two sisters with the surname of Qiao as their wives respectively. 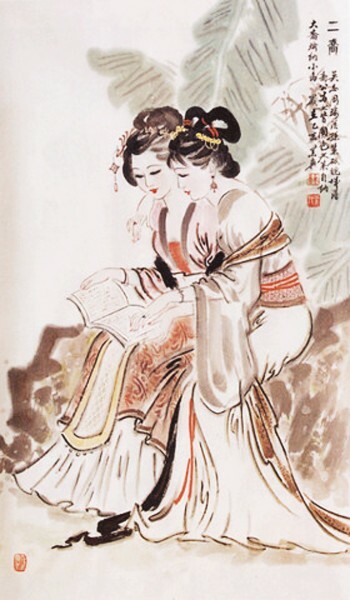 This became a romantic story with the heroes in Wu State taking two beauties of Wan City as brides. Qiao Sisters enjoy wider recognition. There is plenty of historical evidence to prove that Qianshan Countyis the hometown of the Qiao Sisters . As historian Chen Shou wrote in Biography of Zhou Yu in Chronicles of Three States, Zhou Yu and Sun Ce took Wan City (in the vicinity of Qianshan County in Anhui Province) in the year of 199 and they took Qiao Sisters as their wives respectively. 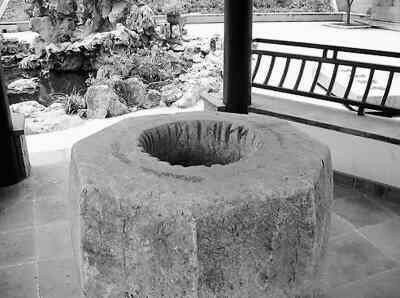 Relevant relics still exist in Qianshan County such as Rouge Well and tomb of Lord Qiao. Rouge Well is located 10 meters southeast of the factory in Wanggang Village, Panpu Town, Qianshan County. Rouge Well where the Qiao Sisters poured used cosmetics after finishing washing and dressing up.